Steve Nison is known worldwide as the father of modern candlestick charting. He not only introduced this exciting and powerful charting method to Western traders, but he continues training thousands of traders and investors every year. His proven techniques and strategies are ideal for every type of trader. They work in every market and in every time frame. Better yet, Steve’s candle charting methods allow traders to see market reversals before they become obvious to other traders. 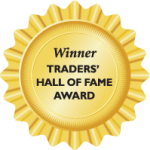 In the beginning, Steve only offered his expertise to top trading firms through his customized technical advisory and on-site seminars to institutional traders and analysts. His clients included J.P. Morgan, Fidelity, The Bank of New York, Goldman Sachs, Spear, Leeds and Kellogg, Morgan Stanley, hedge funds, and OTC and NYSE market makers. Currently, Steve is helping individual traders with methods that can help them win in any market conditions. That’s because he has proven time and again that candle charts are the best tool to see what’s going to happen in the market long before old-fashioned bar charts. In addition, Steve is an acclaimed Western technical analyst. By combining candle charts with the best Western technical indicators, he teaches his students how to get the most out of every trade and how to trade with more confidence than they ever imagined. Steve Nison is the acknowledged Western authority on the subject of candle charting. His two internationally bestselling books, Japanese Candlestick Charting Techniques and Beyond Candlesticks, have been translated into eleven languages. He holds an MBA in Finance and Investments. He was among the first to receive the Chartered Marked Technician (CMT) designation from the Market Technicians Association (MTA) and was nominated for the MTA’s “Best of the Best” for Price Forecasting and Market Analysis. Mr. Nison’s work has been highlighted in financial publications including The Wall Street Journal, Barron s, Institutional Investor, and Euroweek. As a sought after speaker, Mr. Nison has presented his trading strategies in 16 countries to thousands of traders and analysts including, by request, The World Bank and The Federal Reserve. He has also been a lecturer at four universities.